Building a gingerbread house is a traditional activity for many families during the holidays. While fun for the kids, the mess created by all the icing and candy isn’t always something parents look forward to. Constructing and decorating a gingerbread house with Wikki Stix is a mess-free, non-candy alternative for creating family memories together. With just Wikki Stix, paper, and scissors, designing a gingerbread house is a breeze to clean-up and offers hours of creative and constructive play for kids. 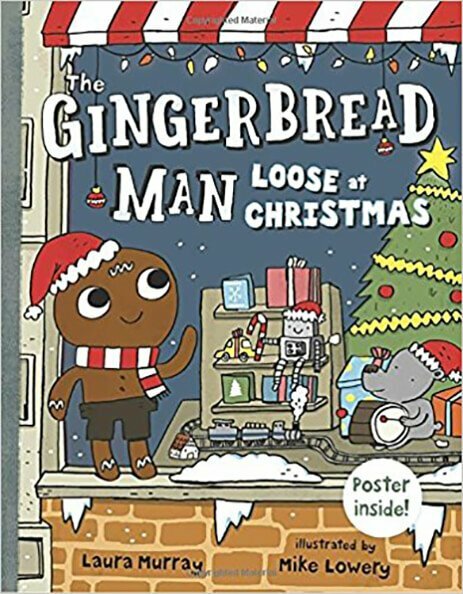 Prior to constructing your Wikki Stix gingerbread house, read The Gingerbread Man Loose at Christmas by Laura Murray. The book is a delightful story of appreciation and captures the generous spirit of the holiday season. 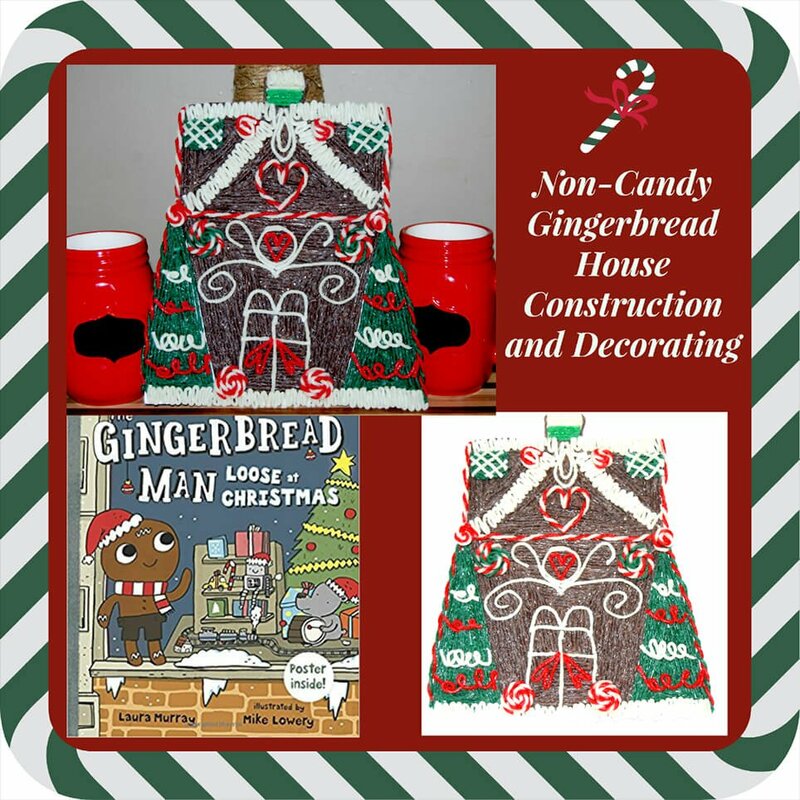 Our own kids love the book and it’s a perfect book to accompany the Wikki Stix non-candy gingerbread house construction and design project. Set out Wikki Stix, scissors, and the paper as an invitation for kids to create their gingerbread houses. Kids can search online for examples of gingerbread houses to get an idea for the shape(s) they’d like to use. There are many photos with ideas for awesome construction and design. 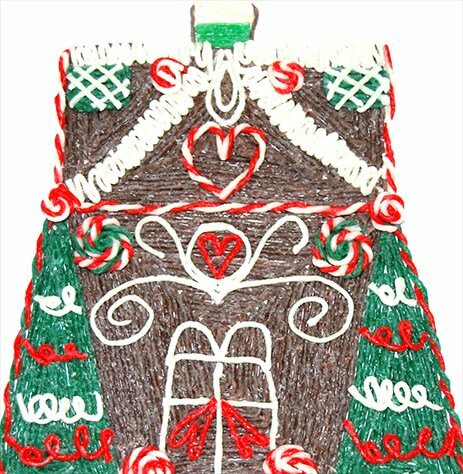 When kids have an idea in mind, they should create a basic outline of the gingerbread house with brown Wikki Stix on the mounting paper. 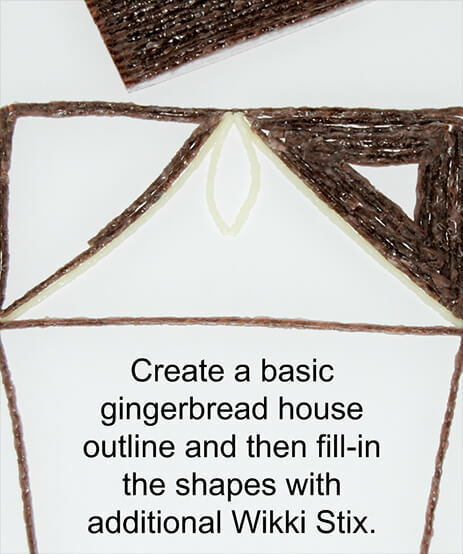 Older kids will construct more complex gingerbread houses than younger ones, but even preschoolers can participate by making a gingerbread house outline with a square shape for the house and a triangle-shaped roof. 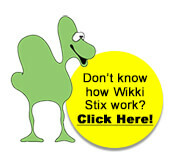 Kids should fill-in the basic Wikki Stix house outline with additional brown Wikki Stix. Tracing the basic house shapes is easy with Wikki Stix. Kids should begin just inside the original outline and follow the shape until it is entirely filled-in (see photo for an example). Kids can also design their gingerbread house with a partner or in small groups. It’s a wonderful idea for a holiday party to keep the kids entertained and creating. 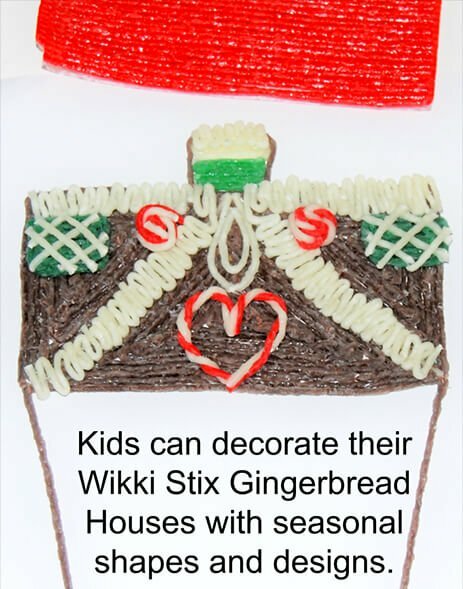 Kids can use Wikki Stix to create any desired features for the gingerbread houses. Some suggestions might include: twist red and white Wikki Stix together to create candy canes, twist red, white, and green Wikki Stix together and then roll into a pinwheel to create peppermints, create snow-covered rooftops with zig-zag lines made from white Wikki Stix, make flourishes from the holiday colors of Wikki Stix, create trees and decorate with Wikki Stix created ribbons, or make various shapes to adorn the gingerbread house with any holiday color of Wikki Stix. 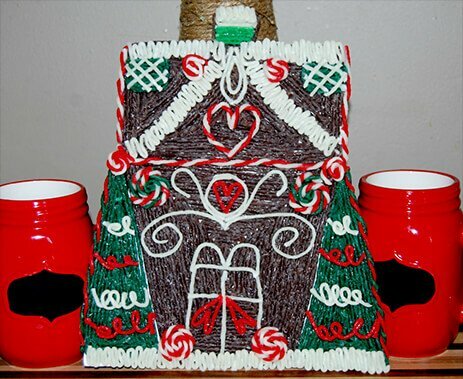 The non-candy Wikki Stix gingerbread houses are FUN to create and mess-free to decorate for kids. Read the book and make an afternoon of creating and decorating gingerbread houses with Wikki Stix. The houses can be hung or displayed throughout the holiday season. To save the created houses for another year, just place the gingerbread house between two pieces of parchment paper and place inside a sturdy flat box.